Nancy Grace Wolf McEllhenney died on December 10, 2018 in Cornwall, Pennsylvania after a long illness. Nancy was born on November 21, 1936, in Phoenixville, Pennsylvania, to Hilda Brown Wolf and George A. Wolf. She graduated second in her class at the Lankenau Hospital School of Nursing and worked at Lankenau as a registered nurse. In 1959, Nancy married John G. McEllhenney, a Methodist minister. They had two children. Their daughter Anne and her fiancé David live in Unicoi, Tennessee. Their son Peter and his wife Suzanne live in Philadelphia. Nancy has six grandchildren and seven great-grandchildren. 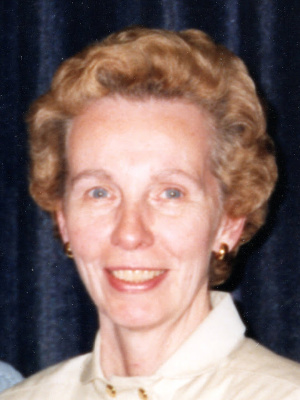 Moving with her husband from parish to parish, Nancy lived in Allentown, Gladwyne, Philadelphia, Ardmore, and West Chester, Pennsylvania. Parishioners enjoyed her kind smile, quiet sense of humor, and her readiness to volunteer her time in service of her church and community. Nancy’s children remember her for the patient constancy of her love. Nancy traveled widely in North America and Western Europe as well as the Middle East and Africa. In retirement, she and John lived in Charlestown Hunt, then Cornwall Manor. Nancy received a Parkinson’s Disease diagnosis 16 years before her death. She is survived by her husband, children, grandchildren, and great-grandchildren. A service to celebrate Nancy’s life will be held in Zerr Chapel at Cornwall Manor on Saturday, April 6, 2019, at 1:00 pm.